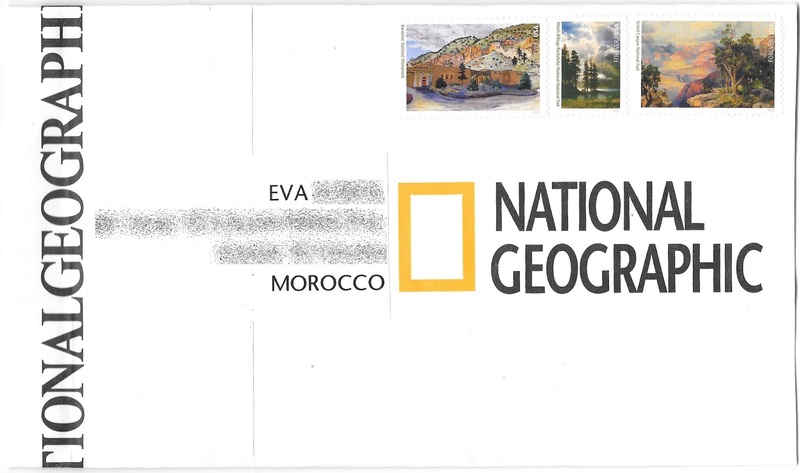 I made two envelopes from a National Geographic Museum bag. You can see the first here. I sent the second one to Eva. 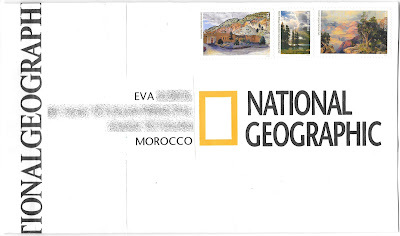 Another set of wonderful stamps! One of the nicest sets for sure, and showing great parts of America's natural beauty.